October 9, 2018 is Ada Lovelace Day, which commemorates the achievements of women scientists, engineers, and mathematicians. Many women worked on the Manhattan Project. Some worked in the production facilities as technicians, monitoring for leaks or adjusting the controls of the Calutrons at Oak Ridge; a small number of women were scientists involved at the highest levels of the project. Lilli Hornig (Los Alamos): I had a job in the chemistry department doing what was called “fundamental wet research,” which involved working with plutonium, determining the solubility of various plutonium salts. It was essentially nothing known about plutonium chemistry at the time. And there was one other woman in the division, she and I worked together and we had our little cubby hole and did our little procedures and put them under the Geiger counter. It wasn’t terribly inspiring and nobody actually really spoke to us. Colleen Black (Oak Ridge): There were many women involved. You know, the men had been drafted. There was manpower shortage. And so the men who were here were, you know, top brass or 4-Fs or G.I.s. I mean, it was an Army-looking camp and I guess the Army ran this area. Everything was according to the Army. All the rules and regulations were Army, so that’s the rules we lived by. And whatever they said, we did. Isabella Karle (Chicago): I looked like any other student at the University of Chicago. I still wore pigtails, and I was twenty-three at the time. I looked fairly young. I could have been a student, and I walked around campus freely. Except Security one day found out that I was carrying these samples of plutonium chloride that I had made. They were sealed in a glass tube, which was in my pocket and I walked across campus to the physics building where Professor [William Houlder] Zachariasen would examine the samples with x-rays. I would walk across campus with these samples in my pocket, and nobody knew until somebody told Security. Then I had two guards walk with me. If there were two guards dressed as guards walking with me between them, everybody who looked at us thought that was peculiar and something peculiar was going on. So their security measures didn’t always measure up to what they should have been. 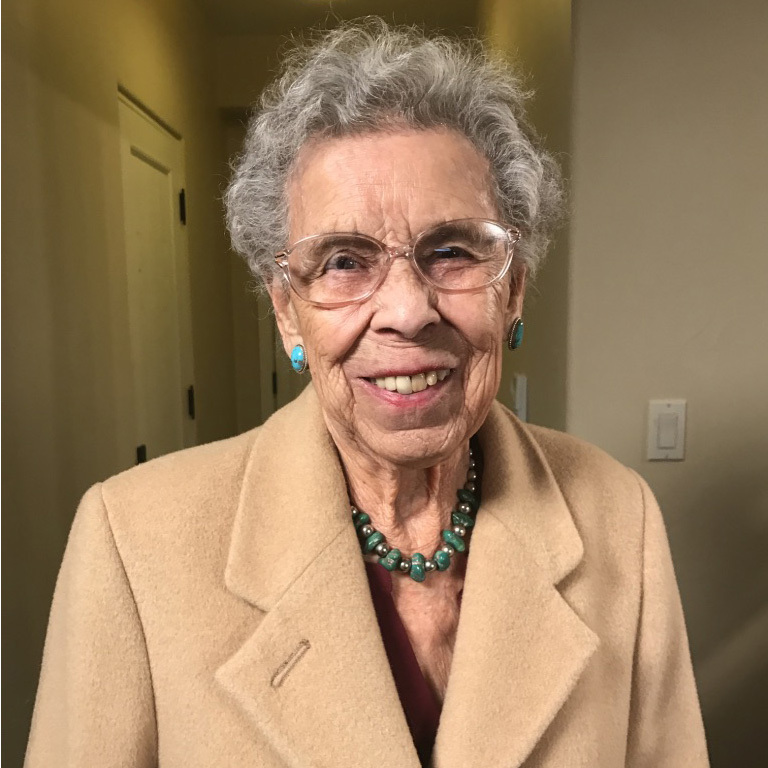 Floy Agnes Lee (Los Alamos): My assignment was to collect the blood from the research men, scientists, who were working on the atomic bomb. I had to learn how to take blood, how to read the blood cells, what type of blood cell, and all that’s connected with the hematology. I got along real well in that area. They sent me to go to different sites where the production was being done, and I would draw the blood from individuals. Kathleen Maxwell (Jersey City): When I was doing my Master's degree in physics, I loved to fool around in the department at Smith College in the shop, learn how to use tools. I had to do some pretty careful machining to get my work project to do what I wanted it to do, which was to make one like they had made at MIT for one of their departments in measuring high voltage. I had to figure out how to measure the high voltage on the high voltage machine, because that is what we were in the process of constructing at Smith before I left. Margaret Broderick (MIT): I went to MIT. I was in there doing chemistry. Then, later the Army came into the lab I was in and said we were changing and that we were going to do this kind of work, which was practically the same thing. They put a soldier in our lab at all times just to stand around doing nothing. Protecting us, I guess. They told us it was for something very important. You did not know what it was, but it was very strict that there would be no talk about it.